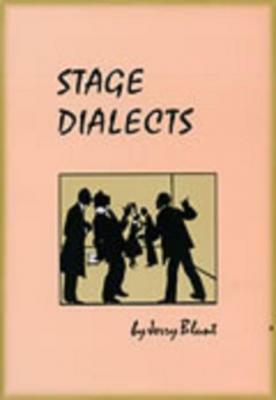 Stage Dialects Book (Paperback) | The Drama Book Shop, Inc. The Stage Dialects book, along with its CDs (sold separately), are the definitive work in their field and have been used by professional actors and directors, high schools, colleges and universities throughout the world. The most used dialects in the literature of the theatre (along with the phonetic alphabet) are broken down into key sounds: vowel substitutions, dipthongal changes, consonant substitutions, special pronunciations and pitch patterns. Primary source voices on CD accompany the text for listening and drill. So listen, learn and ENJOY! Stage Dialects include: Japanese, Standard English, American Southern, New York (Brooklyn), Cockney, Irish, Scottish, French, Italian, German and Russian. 8 1/2" x 11"—156 pp.